On the road in Europe...!!! 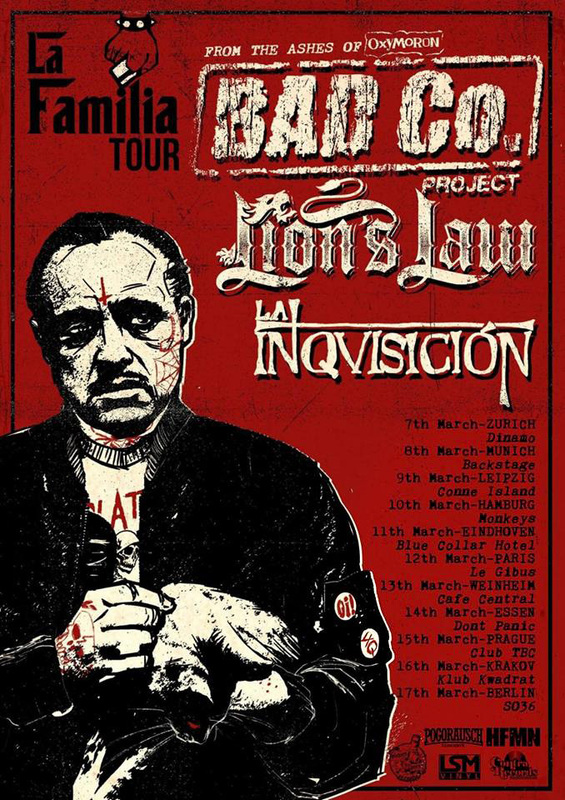 This time it's gonna be mainly in Germany and the neighboring Europe - and together with our mates from LION'S LAW (France) and LA INQUISITION (Catalunia), both also on Contra Records. WELCOME TO THE GANG, APRIL! So come to the shows - and see what this gang of five from Berlin (Germany) and Austin (Texas) is like...!!! Ready for the West Coast!!! Can't wait to take off!!! 10 days, playing a couple of shows there, too...!!! 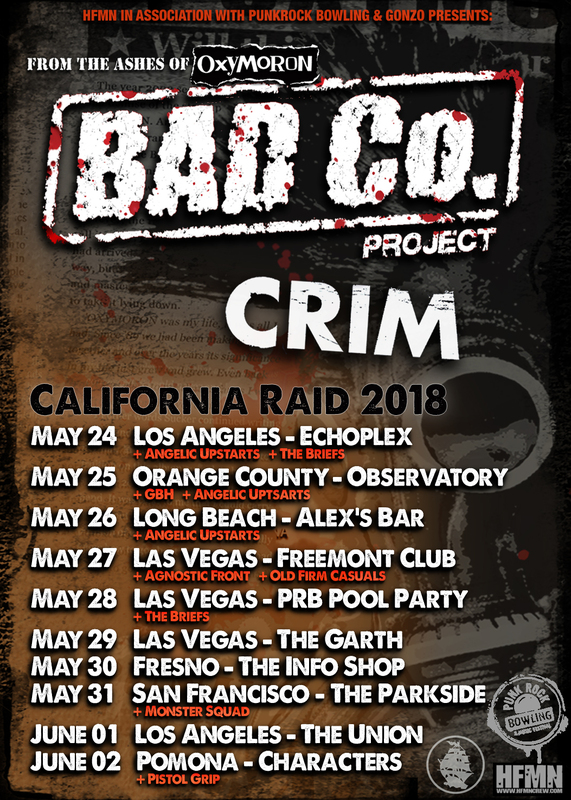 This tour will be together with CRIM. Check out this great band from Catalunia (not Spain) - if you don't know them yet...! Cheers a lot to David & HFMN for taking charge of our BOOKING from now on - La Familia...!!! And - we're just about starting to work on the songs for the NEW ALBUM... so the first recordings are almost in sight...!!! but we're still around amigos...! Now there's no excuses anymore haha...!!! 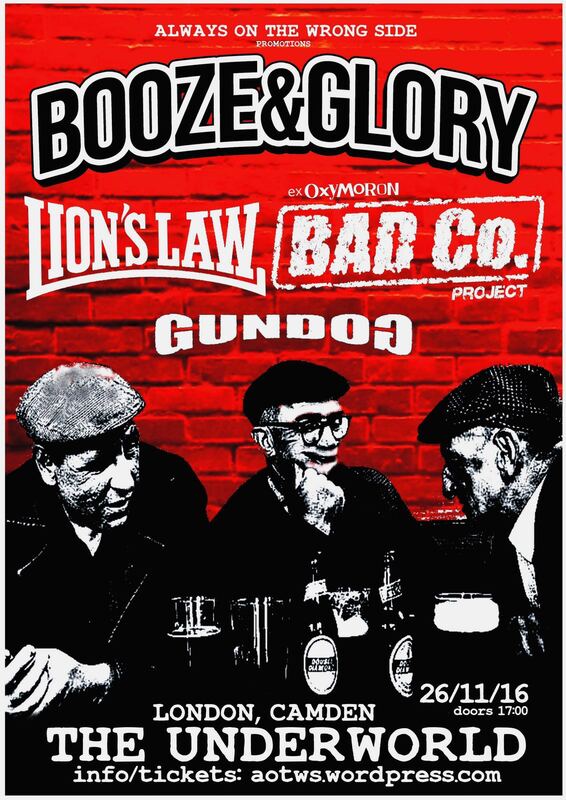 After almost a decade of absence, we are happy about a show in the UK once again - actually in London (Camden) with a great line-up of bands, invited by the lads from BOOZE & GLORY to play at their annual hometown gig...! 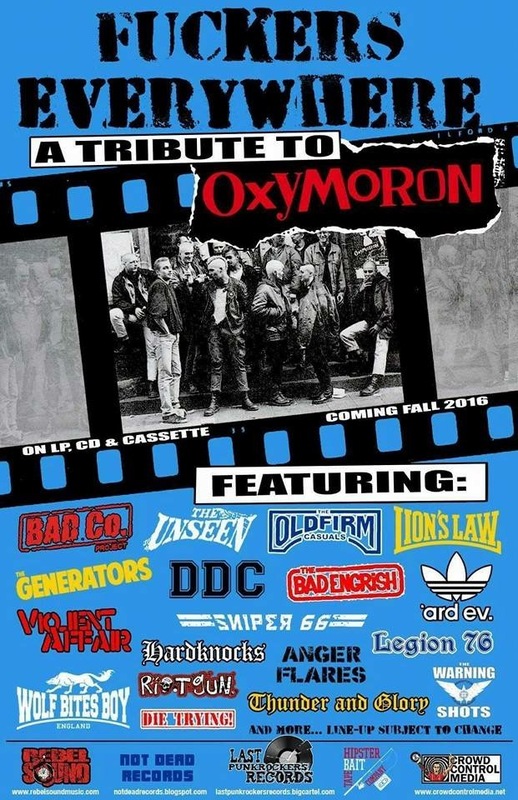 And... there is a "tribute album" to OXYMORON in progress already - released by a cooperation of some US punk labels, with a shitload of (for the most part american) bands!!! - so we just finished the mixes for "Crazy World". 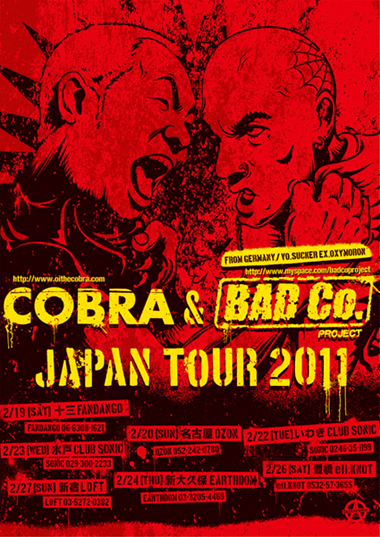 Check the SHOWS section for more infos. And there's a lot more shows coming soon...!!! Sala Strummer from Arrasate/Mondragon in the Basque country - a good friend of the band for years now & singing and playing guitar for DIRTY BROTHERS and formerly THE MOTHERFUCKERS - joined BAD CO. PROJECT. So we will be able to play shows again! Since he's not living in Berlin it might be a bit more complicated in the future, but we will sort it out...!!! 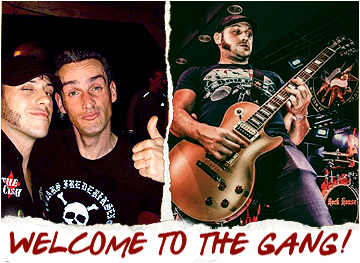 THANKS A LOT here also to Sala Strummer for stepping in and helping us out to play Russia...!!! In December we will go to Russia for the first time! 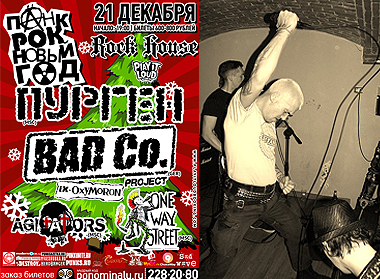 We are going to play 3 shows with PURGEN, one of Russia's leading punk bands...! So let's see what comes next!?! 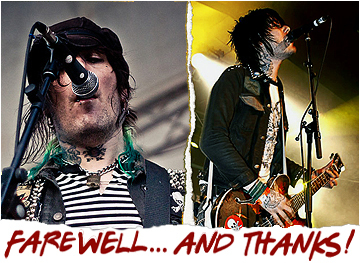 We're planning to do some more shows again in Germany in 2015 as well, so don't worry...! First of all - we will be playing 2 different sets at this year's 2000 TONS OF TNT Festival on the American Eastcoast! 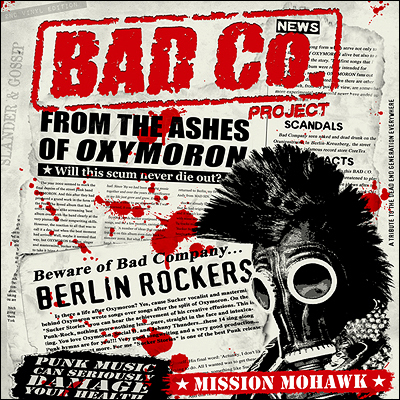 Hechti & CONTRA RECORDS soon are going to release another 500 vinyl LPs of our latest album "Mission Mohawk" - coming in a re-designed jacket and including a free A1 Poster! Since Frontkick, Towerblocks and Mad Sin are all working on their new albums at the moment we have to stand back for a while... Priorities first! Soon we will start working on some new songs Sucker has been writing recently... so maybe there's gonna be another album next year! 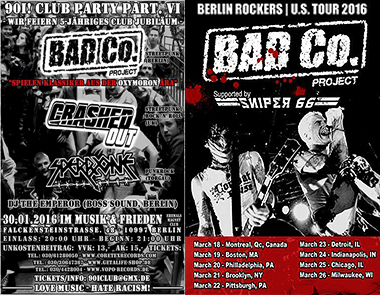 Check also our SHOWS site for all the dates. Check also our STUFF site for the links. New shows for 2012 confirmed - and there will be more coming soon... we're working on it! Thanks a lot to Chrisi at WEIRD WORLD for the support! We are sorry to announce that we're not able to play any shows this year anymore due to some health problems within the line-up. Since we don't really want to replace any band member and rather get back on stage again with the whole gang, we had to cancel a couple of shows recently. 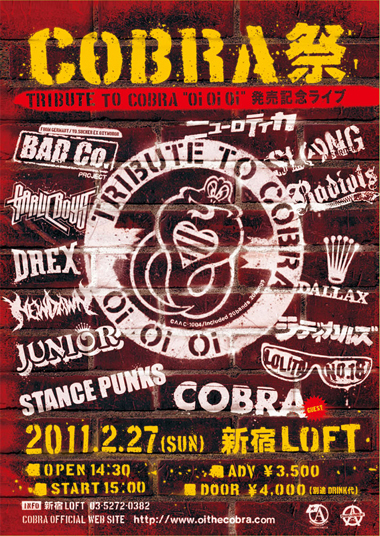 WE'LL BE BACK IN EARLY 2012!!! So anybody interested in booking us for next year get in touch with ADDICTED TO MUSIC now... lots of free dates available! Everyone who wanted to see us at the festivals Endless Summer or Oi! The Meeting - SORRY! 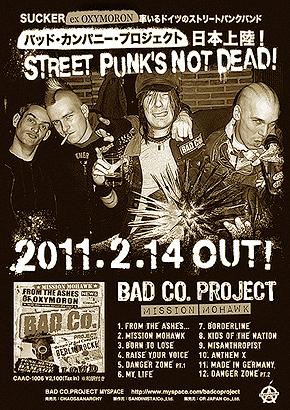 BAD CO. PROJECT shows in the future are best booked with us directly via Addicted to Music - click the banner on the right! 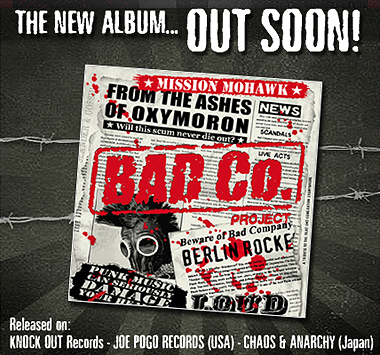 The album is OUT at last!!! 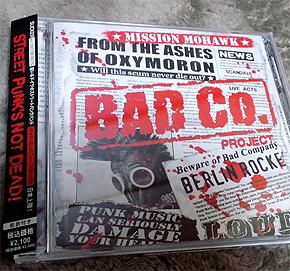 Thanks a lot to JOE POGO RECORDS for pressing and sending them!!! 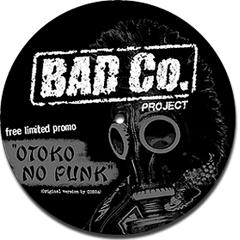 Released on the record label CHAOS & ANARCHY (a division of SANDINISTA Co. Ltd.) which is run by Yuichi, the bass player for COBRA. Click the flyer for more infos. Watch out for its street date!